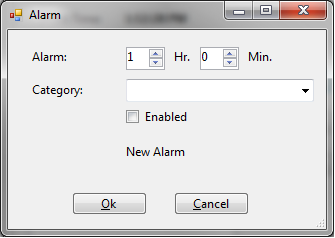 This was a simple desktop alarm program I did as a final to my C# class at Oreilly School Of Technology. 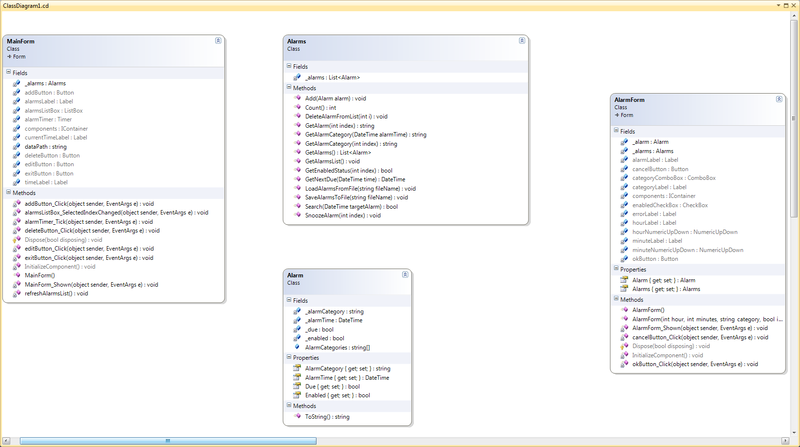 This program has multiple classes as you can see from the class designer picture. 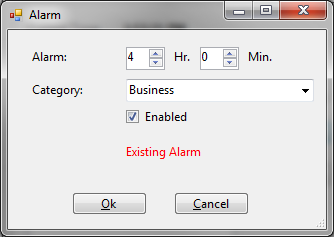 One for the MainForm where you could Add, Edit, and Delete alarms from a ListBox. The program took care of binary serialization for saving the data. Any time an alarm was entered, edited, or deleted the data was saved automatically via the methods as you will see later in this post. 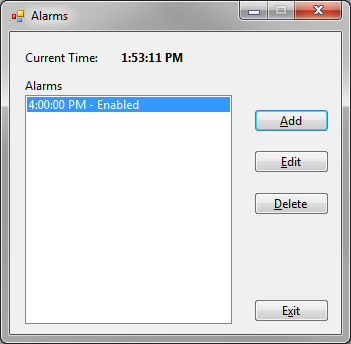 A display alert shows up when an alarm comes due. Click on more to see the code. Also remember that the source code for all these programs is available via the C# Downloads & Files link.